Work experience, employability and work-place learning play a big part in what we do at Linkage College. 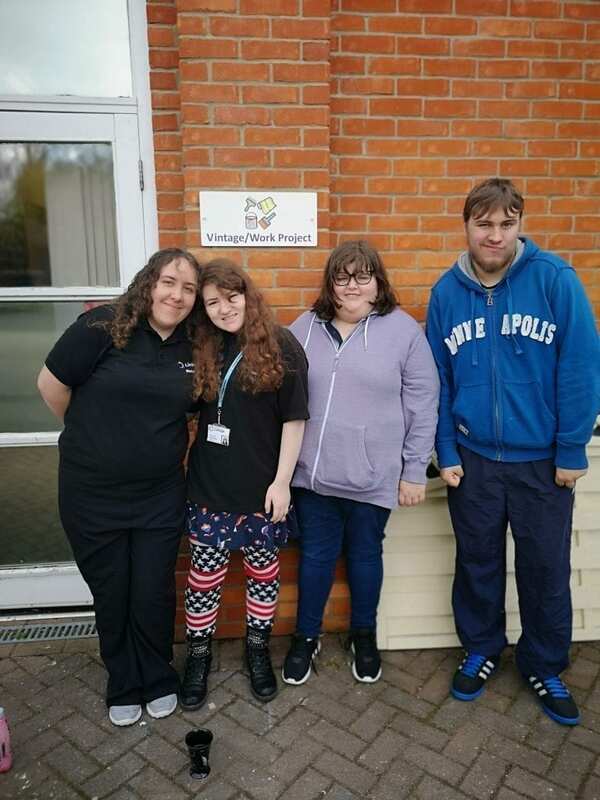 Lots of our learners are enjoying work experience but these four Linkage learners are the latest to take a big step towards their future employment aspirations by securing work placements. Read more about them below. Stephanie – has been attending a work experience at The Original Factory Shop in for one afternoon a week since January. Stephanie has progressed well and she is now going to be attending an additional afternoon after Easter. Stephanie’s goals are to work in a retail environment and to increase her work days to 2 days. Greta – is attending a work experience at the RVS shop based at the Diana Princess of Wales Hospital for one morning a week. In addition Greta has recently gained a new work experience at the Scope Charity shop for half a day a week. Greta’s goals are to work in a retail environment and increase her work days to 2 days. Emma – Emma has just gained her first work experience whilst being at Linkage College at the Cat Protection shop in Freshney Place. Emma will be working initially for one morning a week. Emma’s goals are to work in a Retail environment. Alex – Alex has just gained his first work experience whilst being at Linkage College, at Scope Charity shop. Alex likes shopping in Charity shops so will fit in well. The Work Employment Team at the College are going to be providing support and reviewing progress at every step to ensure that both the learners and the employers are happy and are getting the most out of the partnership. Congratulations to Stephanie, Greta, Emma and Alex. You’ll be brilliant!